Your access to and use of www.nail-fungus.net is subject exclusively to these Terms and Conditions. You will not use the Website for any purpose that is unlawful or prohibited by these Terms and Conditions. By using the Website you are fully accepting the terms, conditions and disclaimers contained in this notice. If you do not accept these Terms and Conditions you must immediately stop using the Website. The contents of www.nail-fungus.net website do not constitute advice and should not be relied upon in making or refraining from making, any decision. 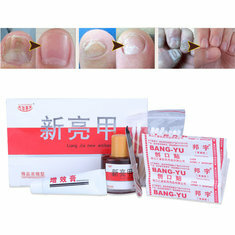 3.1 change or remove (temporarily or permanently) the Website or any part of it without notice and you confirm that www.nail-fungus.net shall not be liable to you for any such change or removal and. www.nail-fungus.net Website may include links to third party websites that are controlled and maintained by others. Any link to other websites is not an endorsement of such websites and you acknowledge and agree that we are not responsible for the content or availability of any such sites. 5.1 All copyright, trade marks and all other intellectual property rights in the Website and its content (including without limitation the Website design, text, graphics and all software and source codes connected with the Website) are owned by or licensed to www.nail-fungus.net or otherwise used by www.nail-fungus.net as permitted by law. 6.2 To the extent permitted by law, www.nail-fungus.net will not be liable for any indirect or consequential loss or damage whatever (including without limitation loss of business, opportunity, data, profits) arising out of or in connection with the use of the Website. 6.3 www.nail-fungus.net makes no warranty that the functionality of the Website will be uninterrupted or error free, that defects will be corrected or that the Website or the server that makes it available are free of viruses or anything else which may be harmful or destructive. 6.4 Nothing in these Terms and Conditions shall be construed so as to exclude or limit the liability of www.nail-fungus.net for death or personal injury as a result of the negligence of www.nail-fungus.net or that of its employees or agents. You agree to indemnify and hold www.nail-fungus.net and its employees and agents harmless from and against all liabilities, legal fees, damages, losses, costs and other expenses in relation to any claims or actions brought against www.nail-fungus.net arising out of any breach by you of these Terms and Conditions or other liabilities arising out of your use of this Website. Articles on nail-fungus.net have been acquired from a variety of sources. The information on this nail-fungus.net is designed for general informational and educational purposes only. It is not intended to be a substitute for informed medical advice or care. 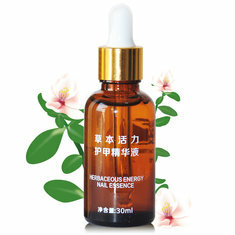 Should not be used as a substitute or replacement for the medical counseling, diagnosis, or treatment by a doctor or any other health care specialist You should not use this information to diagnose or treat any health problems or illnesses without consulting your pediatrician or family doctor. If you have or suspect that you have a medical problem, promptly contact your health care provider or consult a doctor with any questions or concerns you might have regarding your or your child’s condition. – The use or the lack of ability to use our services, or any services from other third party. – Statements or conduct of any third party. All brand names & trade marks are the properties of their respective holders and are referred to here for descriptive and educational purposes only. 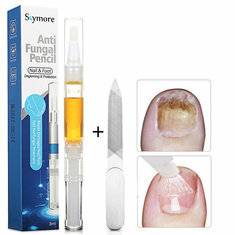 Nail-fungus.net are not associated with any medical company and no copyright infringement is ever intended. All designated trademarks and related copyrights are the sole property of their respective holders. We use a variety of advertisements on this website, including affiliate links and banners, for which we do receive a commission if you decide to purchase that particular product through a link on my website. We also run Adsense ads, which are third-party advertising spots that allow revenue generation through clicks or views of these ads.